You have found this website because on some level you have decided to take action to improve your state of health. Hopefully, the following will help you understand how to get the most out of your association with Health Development Resources. Although it is wise to seek help when a health problem or crisis gets your attention, it is our belief that you do not have to be sick to develop better health! The health services of this practice focus primarily on health development. Disease prevention and treatment are two corollary approaches which are available when desired or required by client/patients. Acupuncture and herbal treatment are particularly helpful for the treatment of acute and chronic pain. We use the following strategy to build a strong foundation for health development. Emphasis is made to collect a comprehensive case history, physical examination, laboratory diagnostic analysis, nutritional analysis, and lifestyle analysis. These are vital elements for making a sound diagnosis and plan. The intention of this process is to enable you and your physician to create an optimal program to serve your health objectives. 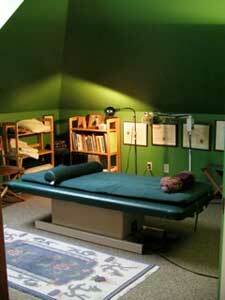 The therapies used in this practice are intended to be “user friendly” for all involved. A primary objective here is that you gain relief from your symptoms while developing a better understanding of their cause. Long term dependency upon, supplements, therapies and diagnostic procedures can be quite costly and not beneficial to your health. The best nutrition is that which one ingests in their diet. A key to your successful health development program involves making changes which reflect the values which you wish to guide your personal well being. These changes are most effective when geared to what you can realistically undertake. Education is a consistently a helpful approach to improving health awareness. You will be given written materials to review, forms to complete and the opportunity to explore resources. This approach intends to deliver the best information in the most cost effective manner so that you may make the optimal health choice for your self. After a general health assessment is made with the initial interview, physical examination and laboratory testing, a program is designed with the client/patient. At any point a decision to focus on a specific health issue may be pursued. This will always be done in the larger context of your health goals. The major financial expense is in the first few visits. After the initial period, follow ups are typically less frequent and time-consuming. Acupuncture treatments usually focus on the relief of uncomfortable symptoms. Relief can come in a few sessions or gradually build over a period of weeks or months. Generally, the longer a complaint has been developing, the longer it takes to resolve. Congratulations on making a personal commitment to your health. We are here at your service.